"Beauty is not optional, it is a strategy for survival"
The author of When Women Were Birds in Conversation with Paul Holdengraber, published on Lit Hub, August 2, 2018. A personal tribute to her beloved mentor by Terry Tempest Williams, published in the Jackson Hole News and Guide, January 23, 2018. Terry Tempest Williams on Sacred Rage and the Battle for Public Lands /54, October 20, 2017. 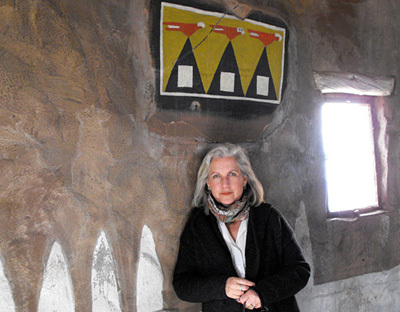 Author, Terry Tempest Williams, visits the Shakti Hour podcast for a conversation around wilderness, spirit, sacred rage and authentic power, August 4, 2017. Op-Ed published in The New York Times, May 6, 2017. Article by Ellen Fagg Weist, published in The Salt Lake Tribune, April 20, 2017. Article by Ben Goldfarb, published in The Guardian, December 31, 2016. Op-Ed by Terry Tempest Williams and Bill Hedden, published in the Salt Lake Tribune, December 20, 2016. Will our national parks survive the next 100 years? Op-Ed by Terry Tempest Williams, published in the Los Angeles Times, August 25, 2016. 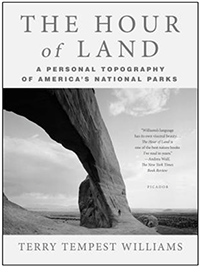 Interview by Joe Donahue on The Hour of Land, WAMC Northeast Public Radio, published August 23, 2016. Article by Nora Saks, published August 8, 2016, Montana Public Radio. 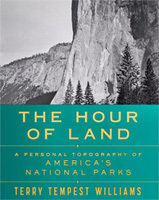 Published June, 2016 by Sarah Crichton Books/Farrar, Straus and Giroux, to honor and coincide with the centennial of the National Park Service. Trade paperback edition was released by Picador July, 2017. Events will be added as info becomes available. Interview by D. J. Lee, published July 19, 2016, by Los Angeles Review of Books. TTW interview with Tom Williams, published June 28, 2016. An excerpt from The Hour of Land, Terry Tempest Williams on the sacred earthworks of Effigy Mounds National Monument, published in Yes! magazine, Summer 2016 issue. Special, letterpress edition of #100, created by Andy Netell, Back of Beyond Books, Moab, UT.